You will spend a third of your lifetime asleep. This one statement should be enough for all of us to run out and buy a new mattress right now. I know mine is currently uncomfortable, so I thought I would start researching mattress options and share my findings with you! Choosing a new mattress is a daunting task. I think one reason it's scary for me is the fact that it is so permanent. It's like choosing a roommate after meeting in class. It's one of those things that when done right can be a pleasure day in and day out and just like choosing a roommate, you have to do your research, because a bad roommate will keep you up all night just like a bad mattress. The good news is RC Willey has a 100-day mattress comfort guarantee, so if you buy from us you know you will be satisfied in the end. Back in the day mattresses came in two types: a burlap sack filled with hay or a cotton bag filled with automotive springs. I'm basing this statement on years of cartoon watching so it must be true. Luckily for us we have a ton of modern options that will not only look better than the options of yore but will feel better and give you the years of rest you need! Now, let's break down the different types of mattresses available. 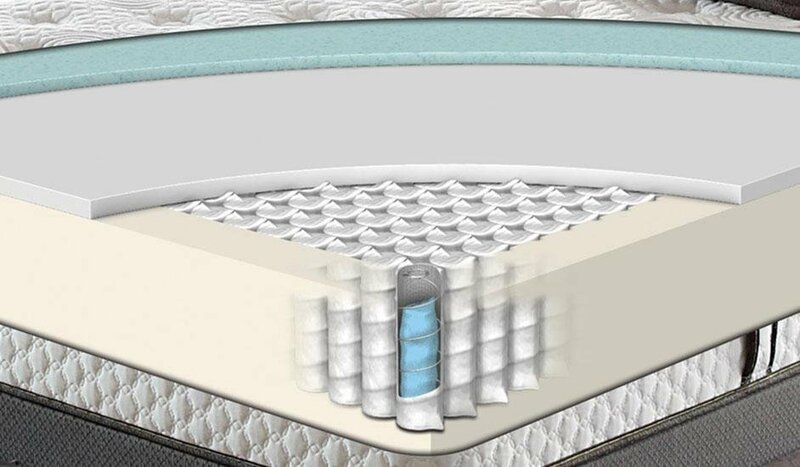 Innerspring Mattresses: Innerspring mattresses are literally mattresses with springs inside. This is still the most common mattress in the market with some having spring counts upwards of 390 springs! In most of the mattresses the springs are individually wrapped so they can stand the test of time and not pop out of their housing. Doctors recommend innerspring mattresses for larger people because the springs can offer a firmer support and make it easier to get in and out of. There are some very nice firm innerspring mattresses for people with back pain as well, but thanks to different tops you can also get a very soft innerspring mattress. Memory Foam Mattresses: Memory foam mattresses are growing in popularity for their unique feel. They are made from different layers and densities of foam and they respond to weight and body temperature. In my experience when you lay on a memory foam mattress you sink into position and are slightly enveloped by the foam. Memory foam mattresses can reduce pressure points and limit & absorb movement from a partner. The cons of memory foam are some people experience chemical odors and others complain about the mattress feeling warmer than an innerspring mattress. These mattresses are preferred by people with chronic fatigue or pain. Latex Mattresses: Latex mattresses are manufactured from natural or synthetic rubber and are best known for providing a firm or almost bouncy support throughout the mattress. Latex mattresses are not for those who like a very soft mattress, these mattresses are firm and almost push back at you but at the same time can resemble the effects of memory foam for some. If you have chronic back pain, put latex on your short list as a mattress to test. Air Mattresses: These are not like the ones you get stuck crashing on in your friend's apartment - these are the high tech ones you have seen on TV. An air mattress is constantly adjustable so if you like firm for a while and want to make it softer you can do that or if your partner needs a firm mattress and you prefer soft, you can do that too. Gel Mattresses: Gel mattresses offer a memory foam feel but due to the gel layer or layers, any excess heat is dissipated through the gel. So if you like the feel of memory foam but can't stand the heat, check out a gel mattress. Adjustable beds: Adjustable beds can raise the back or legs portion of the mattress for better comfort, television watching, reading, or general ease of getting in and out of bed. 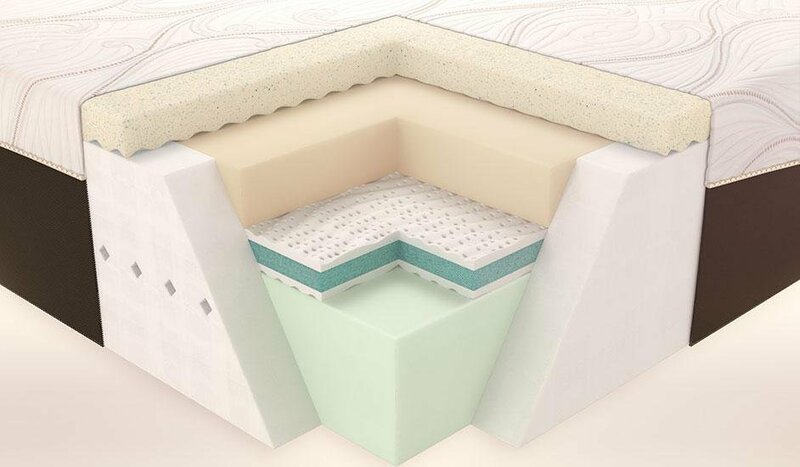 There are a few options for mattresses with an adjustable bed such as memory foam, latex or air. Innerspring mattresses don't work as well with adjustable beds due to the springs on the inside. How long does a mattress last? Most manufacturers say to change your mattress every 8-10 years, but sometimes it isn't your mattress that is causing the problem, it's the fact that your body or needs have changed so your mattress needs to change too. Also, take into consideration that the average used mattress contains 100,000 - 10 million dust mites and their droppings inside, feeding on your dead skin cells, so it might be time to send them to dust mite heaven, a.k.a the city dump. Imagine all the mattresses those little mites could frolic on, far away from your home. So, how do you go about selecting your new mattress? The 15 minute mattress test. A new mattress is a big decision and we want you to be satisfied with your mattress choice. We recommend the 15 minute mattress test. What you need to do is bring your own pillow from home, get in some comfortable clothing, and come down to one of our showrooms for a nice 15 minute rest. One of our friendly salespeople can narrow down some choices for you based on your wants, medical conditions, and sleep habits, and then you can take your pillow and try each option out. Try laying down on each mattress in the position you sleep, whether it's on your side, stomach or back and get a good feel for each mattress. According to experts the right mattress for you is one that will feel like you are floating on air with no major pressure points, so give it a good 15 minute test and don't worry because you will be covered by the RC Willey 100-day comfort guarantee. I hope this helps you make your new mattress decision a little easier. Make sure you chat with one of our salespeople who's whole job is knowing the best mattress for your needs and budget. They can get you started on a few options and even help you with financing. Sweet dreams!